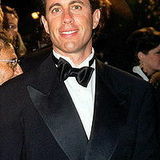 Ever dreamed of a life like Jerry Seinfeld? Do you think you have what it takes to be a stand up comedian but just need to get started? Look no further. Across Sydney there are dozens of open mic nights for budding comedians and even schools of stand up comedy with a course was designed to take you into the mind and world of the stand up comic. If you are looking to take a course, Sydney Community College in Leichardt espouses that anyone can be be funny if they know how and promise to get you in touch with your comic persona. Their motto? 'Feel the fear and do it anyway!'. The course runs from 9 till 4pm over 2 Saturdays and costs $179.00. At the conclusion of the course, there will also be a (non-compulsory) opportunity to perform in an open mike venue. A second course is run at Australia's school of stand up comedy which promises to help you build the skills of a successful stand up comedian with 5 weeks of training to show you the necessary skills, timing, material, performance and stage presence. At the conclusion of the course you will perform in front of an audience and your triumph will be videoed as a keepsake of your graduation. The course runs every ten weeks for 2 hours on 5 consecutive Saturdays at the State Bar Theatre in the Sydney CBD and costs $349.00. Of course, If you already have what it takes (or think you do) you could go along to an open mic night. One of the most popular in Sydney is held on a Thursday night at the Friend in Hand in Glebe. This open mic night also promises to be less intimidating than others and its patrons give all newcomers a 'fair go'. Why? To keep those around you in stiches. Umm, something Id love to do. I am unsure though as I would tend to use the time to discuss feminism and all things aimed at women. :). The greatest fear of trying any of these types of things is that noone would laugh. Yet there is many a comedian who has had that moment of silence to cope with. This article isn't about open mike nights, it's about a couple of paid courses and then happens to mention one open mike night. Poorly chosen title.